Technology has certainly changed the ways in which we interact with the world. Where fax machines were once a staple of companies across the globe, smartphones have become an undeniable necessity. Where the 9-to-5, in-office setting was once unavoidable, remote workers are enjoying more freedom and work/life balance than was ever possible before. And, of course, gig workers are cashing in on an economy that’s created by the people, for the people (and the businesses they serve). As of May 2017, the Bureau of Labor Statistics reported 16.5 million Americans worked in alternative employment arrangements, including freelancers and independent contractors. 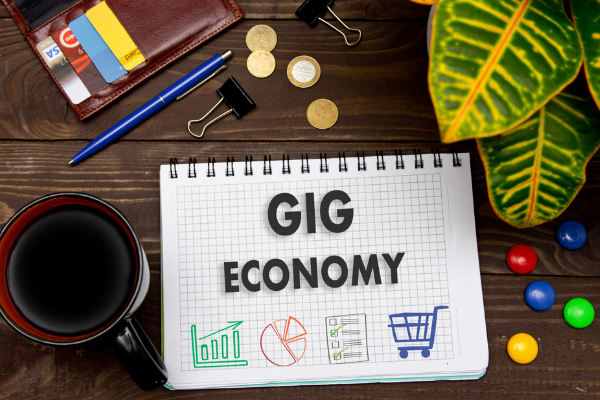 Now that 2019’s officially underway, let’s take a look at some of trends and changes we should expect to see in the gig economy in the coming year. The recovery from the Great Recession of 2008 has been slow, at best. Here we are—a decade later—and many Americans are just now getting on their feet after experiencing upside-down mortgages, job layoffs, and unbearably tough times. Now that the economy has finally started to level out, people who built side hustles when things got hard are turning their talents into viable solopreneurships. Back in the days of hardcopy newsprint, it wasn’t easy to become a freelancer. As a writer, if you weren’t chained to a desk in a corporate office, you had to have contacts, reach out to publications regularly, and be able to deal with a ton of rejection. Only a certain few could survive in that type of situation. Once technology took hold, companies began paying small dollars for big work because there were so many people who wanted to get in on the gig economy. Now, with the tools the internet has given us—and the penalties companies can incur if they tout less-than-stellar content—in-demand freelancers can tout their talents and boost their own brand awareness with name-your-price confidence. In 2017, writers and authors made a median salary of $61,820 per year (or $29.72 per hour). As companies continue to acknowledge their need for top-notch talent, those who thrive in this setting will do very well in 2019. With awful daily commutes and strict hours set aside, gig workers are finding new places from which to build their paychecks. Being isolated is seldom a positive experience for most people, and freelancers are figuring out how to create working conditions that enable them to collaborate with like-minded individuals in settings that inspire the creative spirit. Major cities across the country have begun adding collaborative workspaces to their landscapes, and now smaller towns are following suit. Where coworking spots aren’t accessible (or maybe they’re just not desirable for certain freelancers), coffee shops have become places where people post up on their computers and crunch out words, numbers, and presentations all day. By 2020, almost half the U.S. workforce will be comprised of millennials, who have absolutely changed the way business is conducted over the past ten or fifteen years. This trend isn’t going away; in fact, workers’ expectations have likely changed for good. Traditional office setups are on the decline, while places that enable independent contractors, employees, and service providers to have freedom are becoming the new normal. Locations that cater to the gig economy by providing ample power outlets, wifi, coffee, and snacks will benefit from the cash freelancers are willing to spend on a hard day’s work. WriterAccess is proud to be a powerhouse in the freelance content writing world. Whether you’re a writer who’s ready to embark on the benefits the gig economy can bring you, or you’re the leader of a business that’s ready to bolster awesome content, we’ve got you covered!